Posted by OromianEconomist in #OromoProtests. The Oromo Leadership Convention (OLC) held its second meeting in the City of Washington, District of Columbia, March 10 – 12, 2017. The Convention was opened with the blessing of representatives of the main religious groups in Oromo society and concluded after successfully deliberating on the current situation in Oromia and passing landmark resolutions that affirm the unity of all Oromo and underscore the need to strengthen institutions of democracy. This Convention was attended by over 600 religious, civic and community leaders from across North America and other parts of the world, political organizations, professional and civil societies, artists, businessmen, scholars, veterans of the struggle and Oromo notables who have contributed to the advancement of the Oromo cause in their respective fields. Considering the gravity of the deteriorating situation in Oromia and the tremendous suffering that the state of emergency has imposed on our people, the Convention focused on taking action. 1. Based on the proposal recommended by the Task Force on Humanitarian Assistance, the Convention established a non-governmental organization known as HIRPHA International (Humanitarian Initiative to Relieve the Plight in the Horn of Africa) to assist in the effort deliver coordinated and efficient aid to the victims of the Ethiopian government. 2. Accepting the proposal of the Task Force on Diplomacy and Advocacy, the Convention established a research and policy center that will assist the efforts to conduct diplomatic action in a strategic and coordinated manner with the view to assisting the struggle to end tyrannical rule in Ethiopia. This center will be named Organized Diplomacy and Advocacy Action in the Horn of Africa (ODAAHA). 3. Recognizing that the Task Force of Experts presented revised documents known as the Declaration of Oromo Unity and National Aspirations and Oromo Charter of Freedom, Justice, Dignity and Human Rights reflect the views of the delegates regarding the foundation of Oromo unity and a common ground for political action, the Convention adopted the revised documents as its official documents. 4. Recognizing that the need for further discussions to internalize the contents of these documents, the Convention recommended them to Oromo communities around the world for studying and discussions. The Task Force of Experts was named as a Commission of Experts to spearhead the effort. 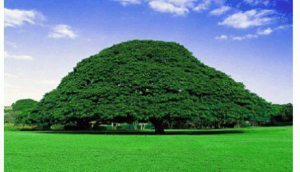 Considering that the Oromo struggle needs robust, functioning and autonomous democratic and civil society institutions, the Convention discussed new agendas proposed by the OLC Executive Committee. The new agenda emphasized the need for enhancing women’s participation and youth engagement in the Oromo nation’s future and initiated an effort to create professional associations. After thoroughly discussing two concept papers, the delegates recommended launching a community-wide conversation with a view of taking concrete steps to enhance women and youth participation in Oromo affairs within a reasonable period. Recognizing the demand of the Oromo people, the Convention stressed the importance of the unity of purpose among Oromo political organizations for the success of our people’s struggle. The participants recommended to all political parties to continue to work together to find ways to mobilize our people for the bitter struggle ahead and redouble efforts to expand the arena of interparty collaboration, build democratic institutions, and fortify self-rule capabilities. 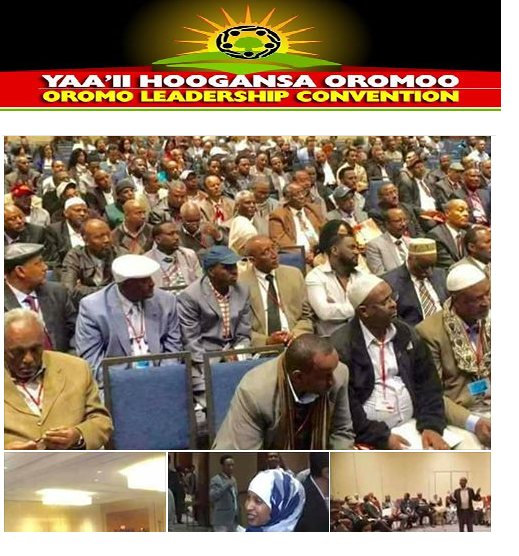 Recognizing the gravity of the time, Convention participants decided to increase their support for the Oromo struggle and to join hands in solidarity with all freedom loving peoples to fight against the repressive TPLF regime. In view of the continued suffering of our people, the Convention, once again, condemns in the strongest of terms the continued killings, mass incarcerations, enforced disappearances, and persecution of Oromo. The delegates also demanded an immediate end to the State of Emergency that has made life impossible for our compatriots. Concerned with the continued impunity of the Ethiopian regime, the Convention, once again, calls upon the international community to live up to its commitment not to “never again” allow mass killings from occurring again by demanding the establishment of an independent and thorough investigation into the mass killings, especially at the Irreecha festival on October 2, 2016, and the other crimes perpetrated by Ethiopian security forces against innocent people. Finally, the Oromo Leadership Convention extends its call to all peoples in Ethiopia to redouble their efforts to end totalitarian rule in the country. Hirbuu Oromoo, galmee Yaa’ii Hooggansa Oromoo irratti walii galan dhiyoottuu maxxansanii baasan. Korii guddaan, Yaa’ii Hooggansaa Oromoo Oromo Leadership Convention (OLC) kun ta asiin dura Amerikaa,Atlaantaatti taa’anitti aanee dhufe. Korii Amerikaa godina Verjiiniyaa Bitootessa 10-12, 2017 Verjiiniyaa magalaa Kiristiyaal Sitii keessa taa’e. Akka warrii qopheesse jedhutti nama 600 caalutti itti dhufe. Kaayoon isaa akka koree yaa’ii tana kopheessite keessaa Dr.Izqiheel Gabbisaa yuniversitii Kaateringi ka Mishigen jirtu keessaa dubbatetti ummata Oromoo biyya keessaa fi biyya alaatti rakkoo gugurdoo keessa jiru gargaarsa ilmaan namaatii fi gama siyaasaalleen gargaaraa tokkummaa Oromoo ijaaruu fi jabeessuu dhaaba dhaabuu. Akkuma kanaan Yaa’iin tun dhaaba HIRPHA International (Humanitarian Initiative to Relieve the Plight in the Horn of Africa) jedhu ka nama mootummaan Itoophiyaatiin Afrikaa gama Gaafaa keessaa miidhame gargaarsa qindaahee kennuun qagaraafuu. Rakkoo Oromoo sadarkaa biyya alaatti himuufiitii ykn gama diplomaasiitiin ammoo yaada gama Koreen Qindeessituutin dhiyaatee dameen qorannoo fi himaammataa hujii diplosamasii hojjachaa mootummaa abbaa irraa akka koreen jettutti Itoophiyaa irratti qabsaahuu. Tanaafuu Afrikaa gama Gaafaa keessatti damee Organized Diplomacy and Advocacy Action in the Horn of Africa (ODAAHA) yayyaban. 3.Tana maleellee galmee yaada Koree Qindeessituutin dhiyaatte jedhan Declaration of Oromo Unity and National Aspirations and Oromo Charter of Freedom,Justice, Dignity and Human Rights jedhuun tokkummaa Oromoo jabeesitu jedhan yayyaban. Hujii tanaaf koree yaada galmeelee tana keessatti dhiyaate hawaasa Oromoo addunyaatiin geettu yayyabame. Galmeeleen dhiyaatan kun dhiyoottuu maxxansanii baasan.Hujii tana Koree Qineessituu miseena 17 qabdutti hojjata. Akka Dr.Izqiheel jedhutit galmeen Chaarterii Hirbuu Oromoo tun ta kabaja mirga namaa eeguu fi falmituuf taati. Yaa’iin tun tana maleellee, dhaabbilee hawaaaa hiree ufii ufiin murteeffatuu fi dimokiraatawa qabaachuuf qooda dubartootaa fi ijoolleen kahimaa sadarkaa addunyaatti yayyabuuf wali gale jedha Dr.Izqiheel.